This blog is no longer active. If you would like to see the recipe for this negroni it is on my other blog Sidewalk Shoes: Frozen Negroni. If you would like to receive emails when a new cocktail post goes live, subscribe to my emails from Sidewalk Shoes here: Email Sign Up. You are right…that is the perfect summer cocktail. I am going to have to serve these up soon. Hi, you have given me an education here, it’s all very interesting. That Frozen Negroni looks very inviting, I hope you enjoyed it. Thanks for bringing this to #HomeMattersParty. OH! I have been wanting to try a Negroni for SO long! Do you know how hard it is to find a place that stocks Campari in their bar here in Phoenix? Still looking. I love gin and can’t wait to find a place that can make me a Negroni. This frozen ‘sin in glass’ looks amazing! I bought a bottle of Campari a long time ago to make a negroni and still haven’t tried it….this frozen version is just the ticket! I adore gin. Haven’t tried Beefeaters yet. I have to add it to my gin collection. I am more of a frozen cocktail kind of girl! This is so up my alley. I am putting this on my list to try out! Once again I find myself here and once more I find myself dying for a taste of your recipes! 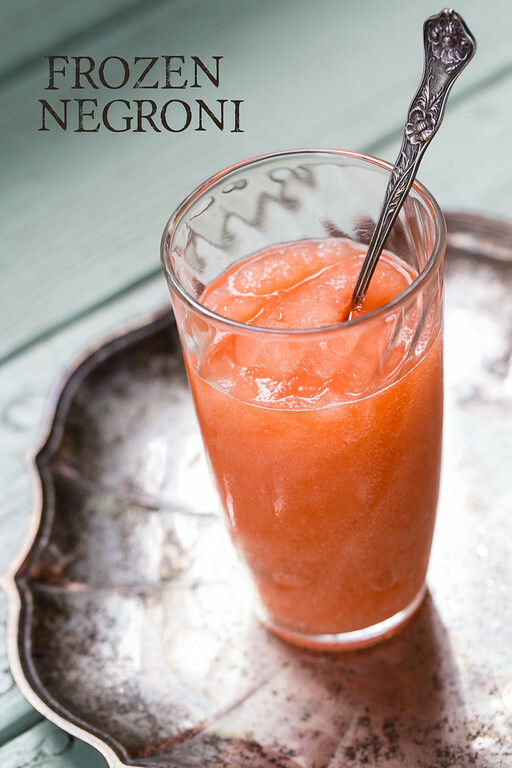 This Frozen Negron is no exception — thirst-quencher to the max! 🙂 Thanks for sharing this. Ok, I have to try this! I have the gin but have not used the Campari or Vermouth before. Will have to look for this at my next store visit!